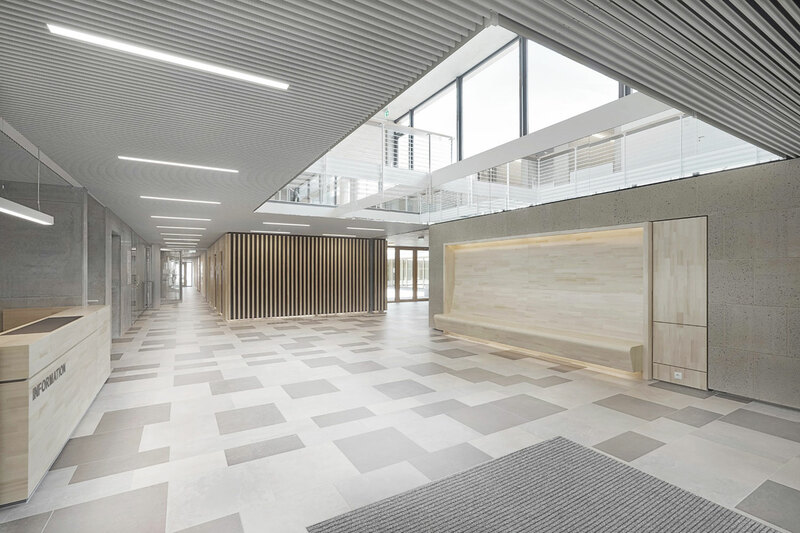 Per a design by Wittfoht Architekten, the municipality of Pellenz in the Mayen-Koblenz district started construction for a new town hall in the district of Plaidt. 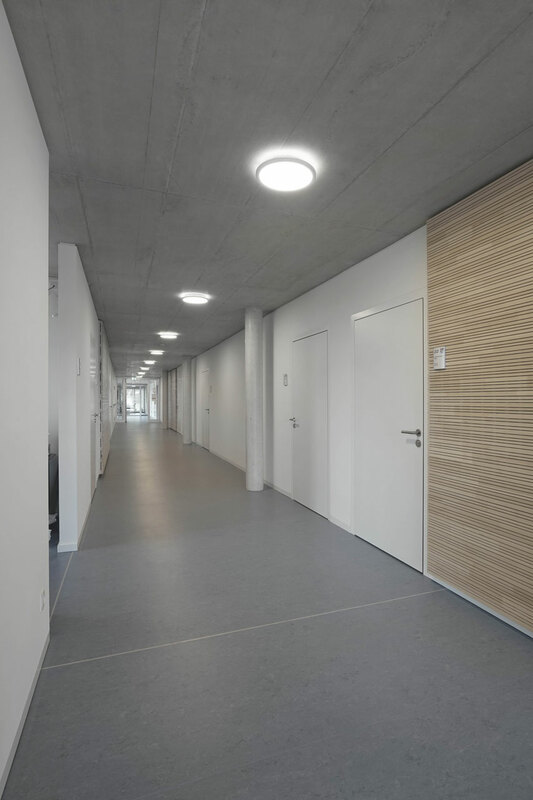 The usable areas of the two above ground floors are mainly divided into single or double offices. 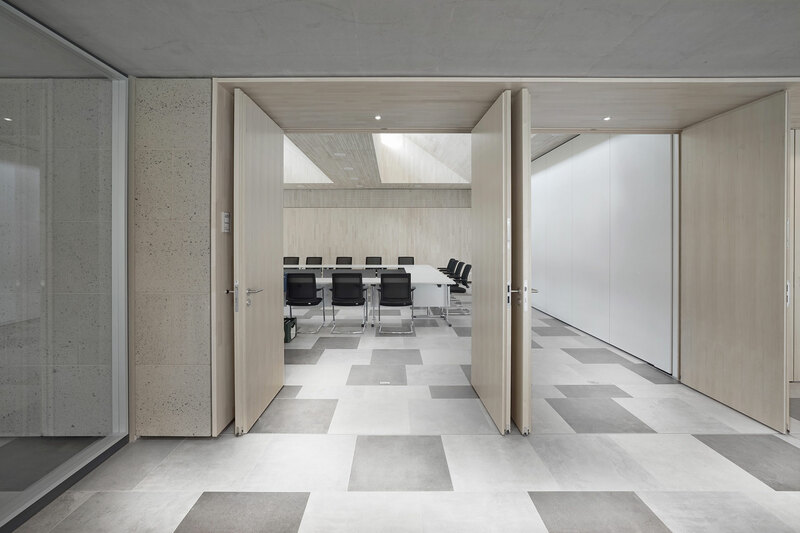 In addition, there is a meeting room for up to 99 people on the ground floor, a conference room that accommodates 10 people and a social space. In the foyer, an atrium connects the two floors. Ancillary spaces, such as storage and archive rooms, are located in the basement. 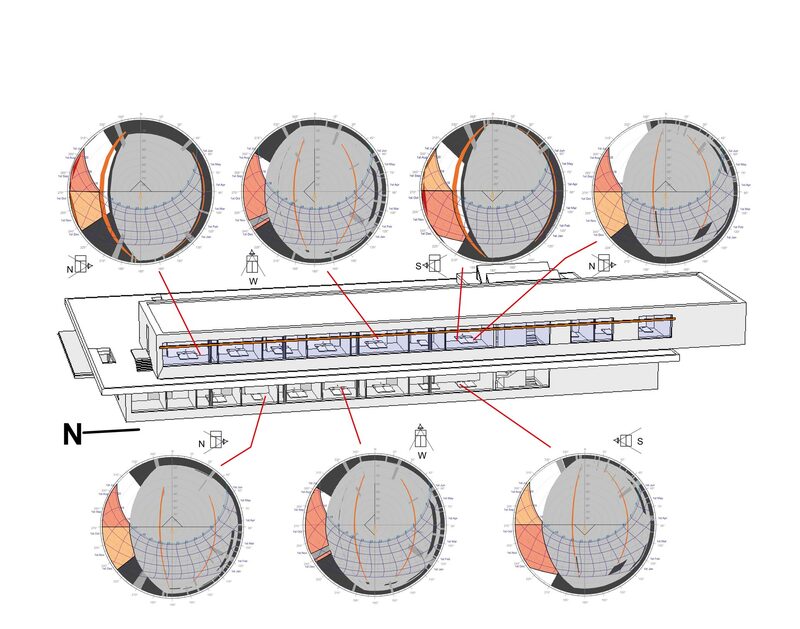 For the thermal comfort and energy concept the design team developed different variants which were assessed both in functional and monetary terms during the planning phase. Since traffic-related pollution and noise emissions are negligible, there are no restrictions regarding natural ventilation. 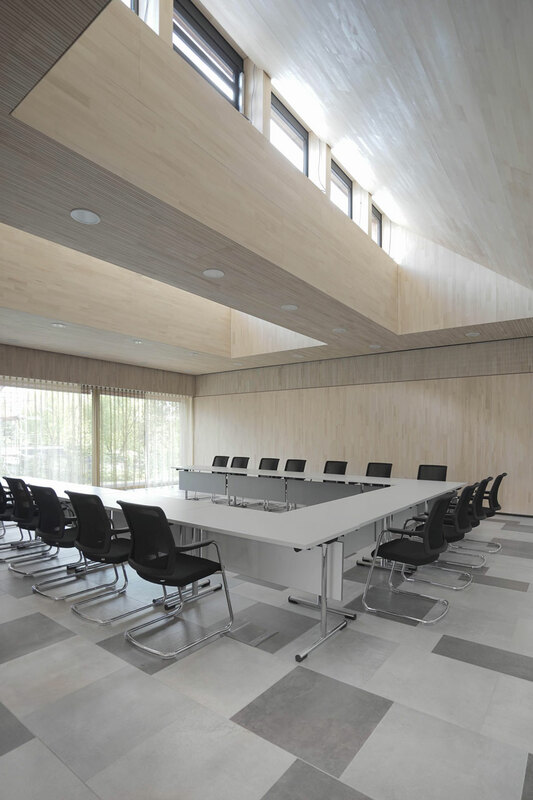 Therefore, the office areas can be ventilated naturally via the windows. 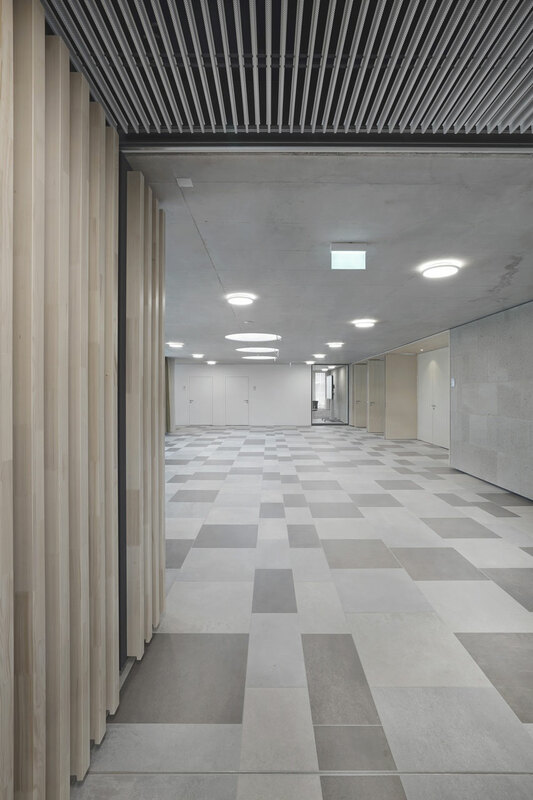 The space is conditioned by a thermally activated floor with individual room control; the water-based system is embedded in the screed. 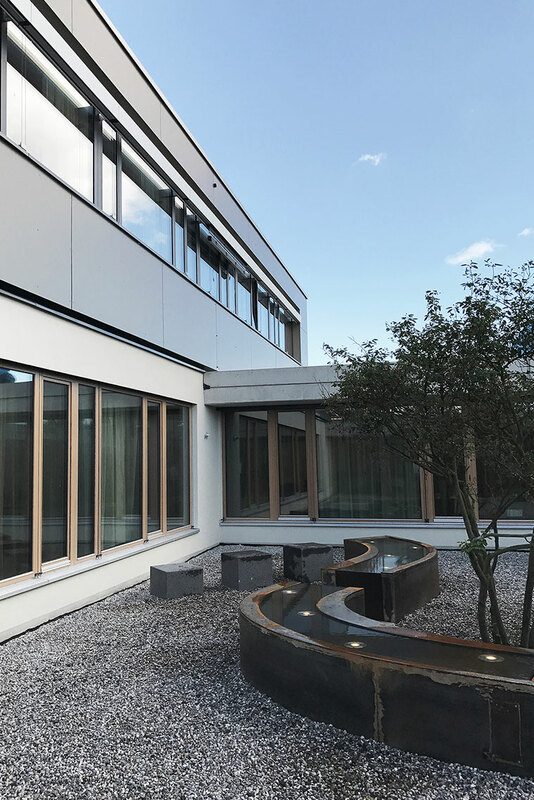 To control solar gains and prevent overheating of the rooms in summertime, external, motorized sun shades will be installed. 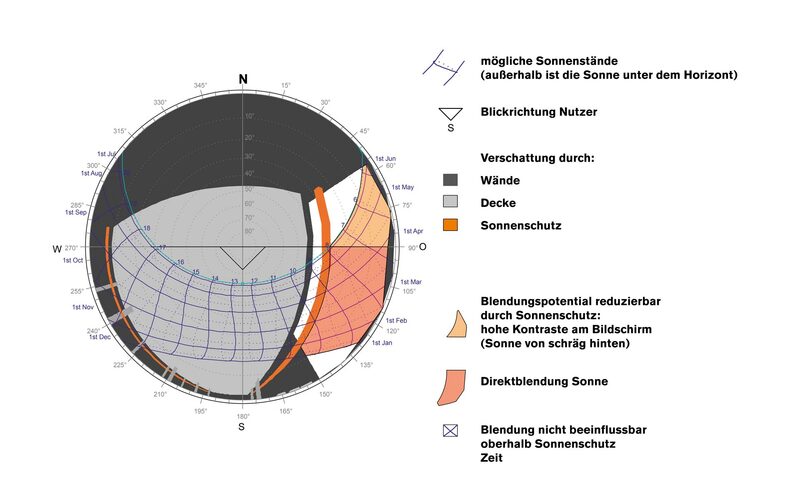 Users can individually control the position of the shading elements. An electric brine-to-water heat pump combined with a geothermal system close to the surface provides efficient heating and free cooling for the building. 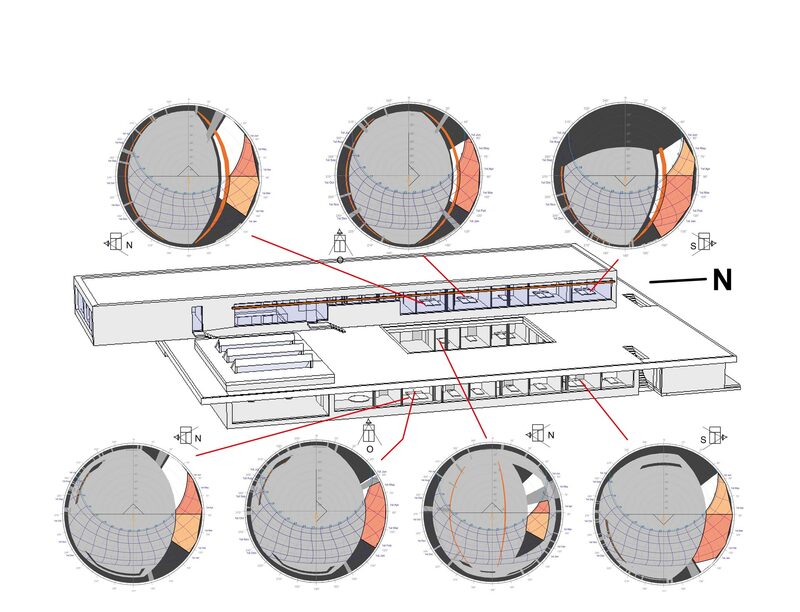 The geothermal system consists of seven double U-tube probes with a length of 92 m. The annual demand for heating is 40 kWh/a/m2, while 11 kWh/a/m² are required for cooling.